You’ve heard of chaos theory. You might know it as the butterfly effect– a hurricane in China is caused by a butterfly flapping its wings in New Mexico. A more rigorous way to express this is that small changes can lead to large results. Our lives are an ongoing demonstration of this principle. We live in an age where thought and ideas travel as fast as a tweet and an instagram. Change can be achieved because of a cell phone and a facebook account. What will the long term effects be if millions of people Instagram pro-peace messages? What will the cultural and ultimately political effects be if we imagine and share a vision of a world without war? Antiwar.me is a resource site providing tools and activities to promote peace. 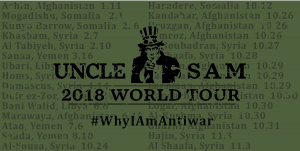 From social media campaigns and contests to merchandise that shows where you stand and helps fund Antiwar.com our journalism and news site. The days of large peaceful sit-ins are gone. Now we can Escalate Peace in a different way. Today, tak e part in our current campaign, “I’m already Against the Next War”. Through our free Thunderclap, you can add your reach to hundreds of others and send a message to the President. 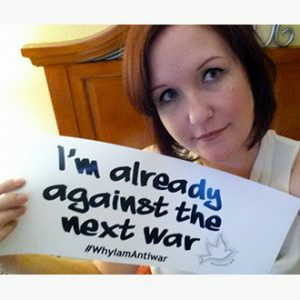 Additionally, post a selfie with a pro peace message like our sign along with the hashtag #WhyIamAntiwar. That’s it- you are Escalating Peace. 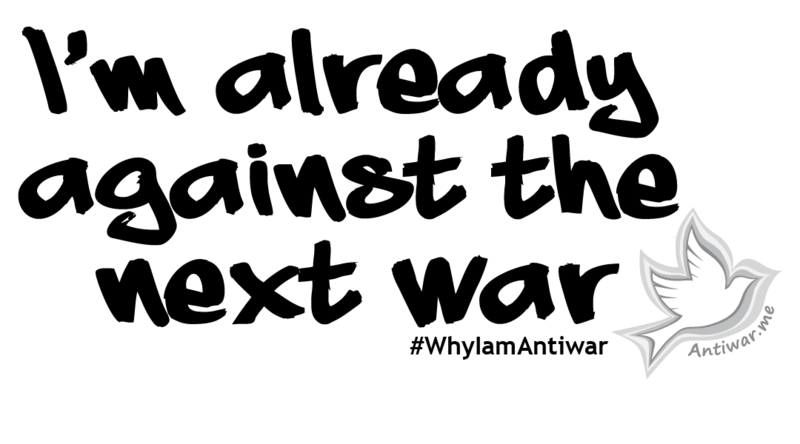 Post pics with your friends, flash some peace signs or hand color t-shirts with pro peace messages and make sure to use our hashtag #WhyIamAntiwar. We also have facebook, twitter and google + social media covers you can download. 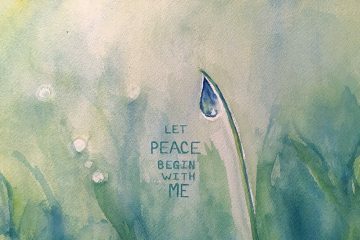 These small changes will have big effects when we each reach out to people we know and ask them to renounce violence in favor of peaceful alternatives. 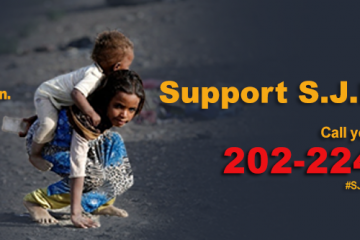 Remember that Antiwar.com runs on your support and contributions. 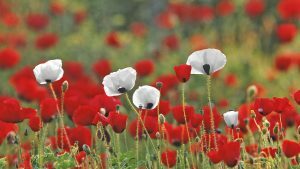 If you find value in what we do to further awareness of the war machine and in providing tools on how you can advance the peace movement, please show us some love by buying a Poppy Pin or simply donate. 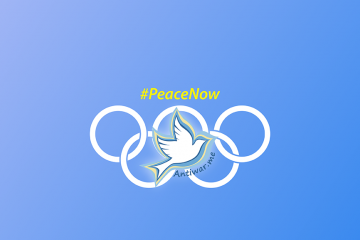 If you check in with us on any of our social media channels you’ll always know when we have another Antiwar.me call to action you can participate in. Download our apps or subscribe to the rss feed to keep informed on what’s really happening around the world.